Touraine is one of the leading social thinkers in the world today and many of his books have been published in English. 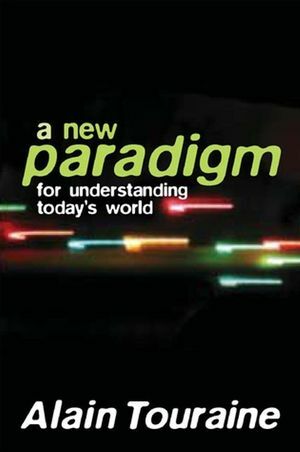 In this book Touraine presents a new theoretical framework for understanding the contemporary world. It is a broad theoretical work which seeks to make sense of everyday experience at the beginning of the 21st century. This is a major new theoretical work by one of the leading sociologists in the world today. A great reference book for those studying sociology and social theory at any level. Where is meaning to be found? Are we witnessing the end of social movements? "How rare it is that one of the world's most original social theorists writes a book so plain and important that it could be used as an introductory text for first-year students. Alain Touraine's New Paradigm should be required reading for anyone who wants to understand today's world as it is coming to be."